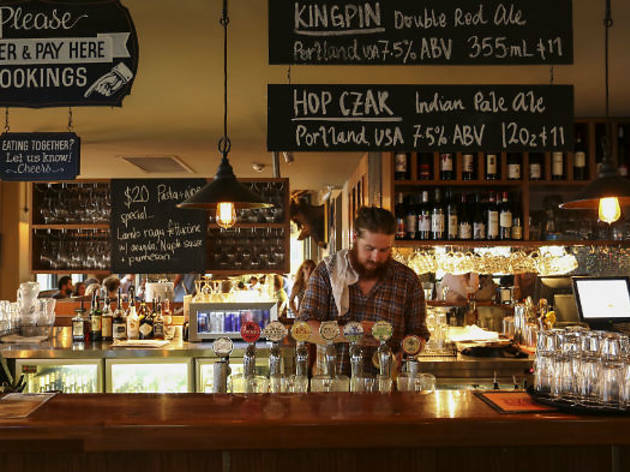 All the pubs that have taken home a gong at the Time Out Sydney Pub Awards in previous years. Each year we hand out a whole stack of awards to the watering holes that have impressed our socks off that year. 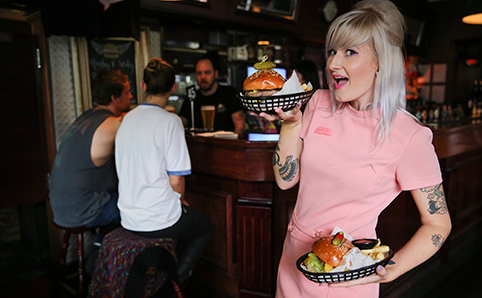 We're rewarding the old school haunts that staunchly refuse to change as well as the fresh new takes on old boozers. 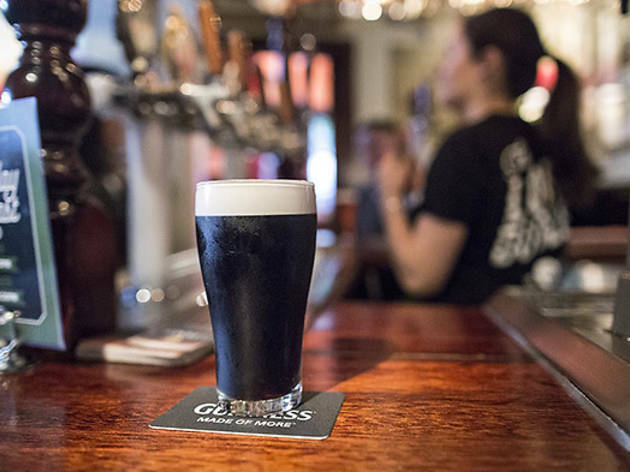 We're singing the praises of inclusive venues and rewarding those who give as much care and attention to what's on your plate as to what's in your glass. If the world were about to end, we’d probably do what Arthur Dent and Ford Prefect do right before the Earth’s destruction in The Hitchhiker’s Guide to the Galaxy, and go to the pub. And we’re not talking just any pub – we’d make tracks to the Courthouse Hotel. 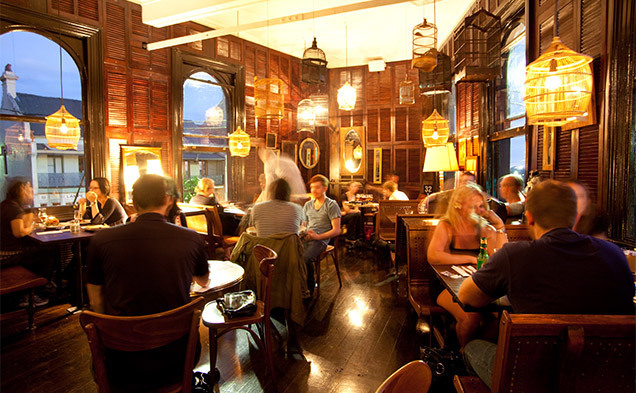 The beautiful thing about this old boozer is that it’s a pub designed to facilitate a good time on your terms. 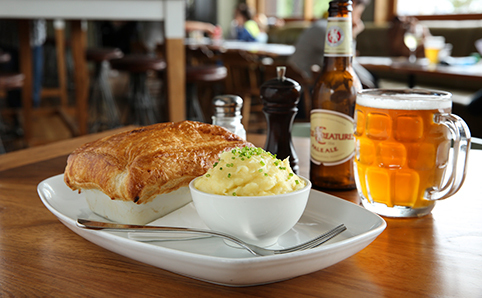 Want to sit up at the bar with a huge plate of fish and chips and watch back-to-back AFL games? This is the best place for it. Prefer to sink your tip money in pinball machines while you annihilate jugs of Stone and Wood Pacific Ale and Young Henrys Newtowner? Right this way. They’ve even got two separate outdoor areas so that smokers and diners can both enjoy the sunshine, and they let you bring your dog (on a lead) or kid (no lead required, probably). 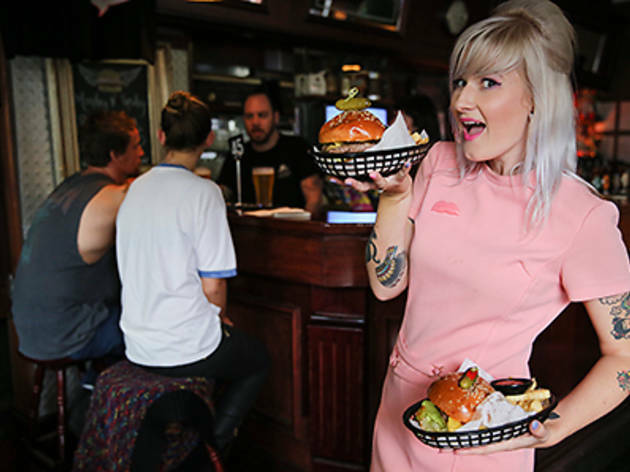 Pubs in Sydney seem to come in two speeds: old timers serving lager and crinkle-cut chips, or extreme makeover contestants with more bells and whistles than the Hogwarts Express. 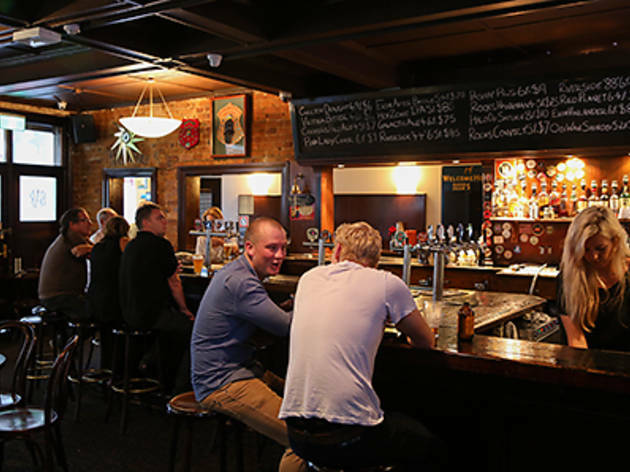 And then there’s the Unicorn Hotel, which is both a newcomer to Sydney’s storied pubs scene and still one of the most #strayan watering holes in the city. 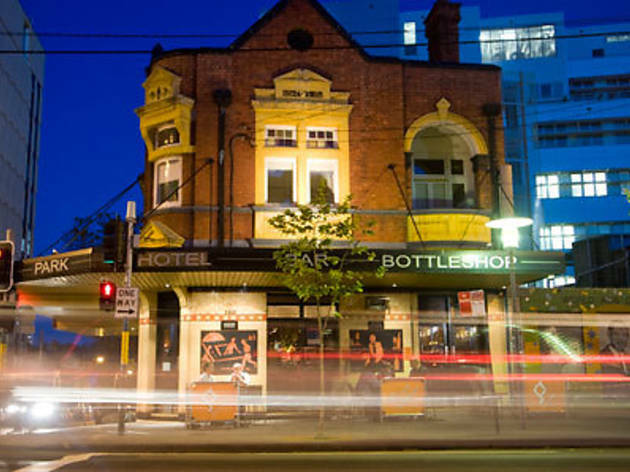 There was a time when a pub serving anything more exciting than a pilsner was unheard of in this city, but what a difference half a decade makes. Suddenly even your backstreet local is making sure they’ve got a Young Henrys or Stone and Wood on tap, and maybe a Lord Nelson and something from 4 Pines in the fridge. 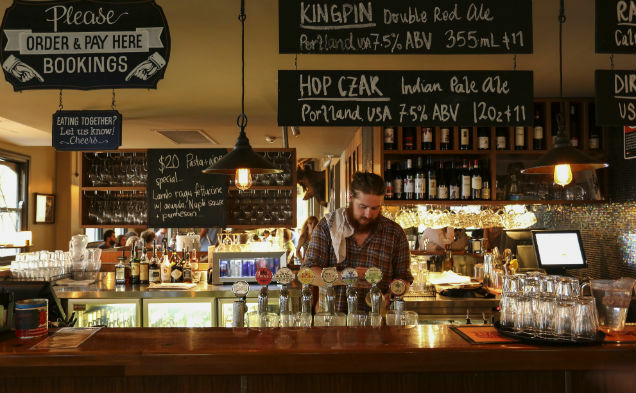 When it comes to full-throated support of craft beers, few do it better than the Union Hotel in Newtown. 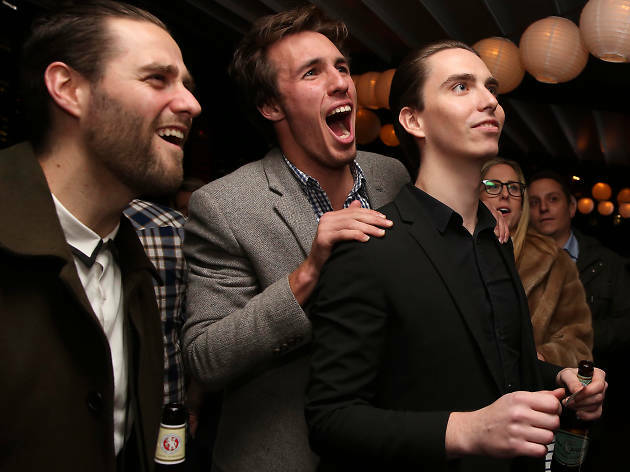 Sydney might be struggling to keep the late-night vibes pumping, but there’s a rebel force of party people and most weekends they are congregating at the Lord Gladstone. 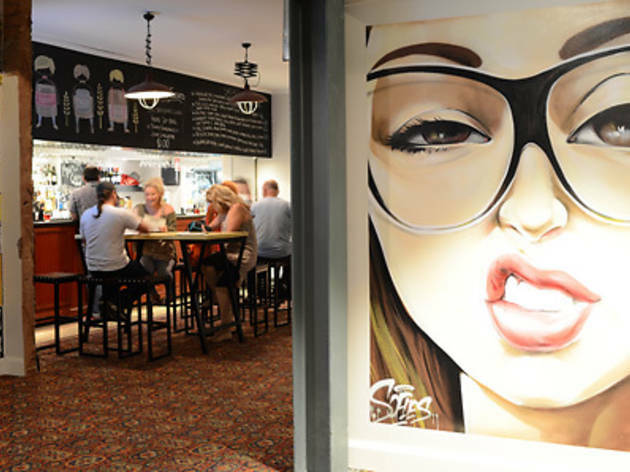 The ability to squash so many Sydney scenes inside a modest space is one of this pub’s most impressive attributes. 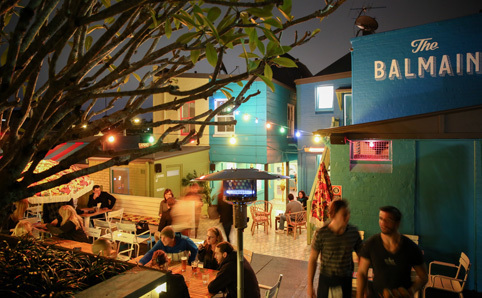 On an unremarkable Saturday night you’ve got Bondi babes, queer indie kids, footy fans, sneaker freakers, hip-hop heads and what appears to be a crew of nonchalant models all cramming into the concrete courtyard for a good time. We always knew that the grand reopening of the Newport Arms under the Merivale banner was going to be a very big deal. 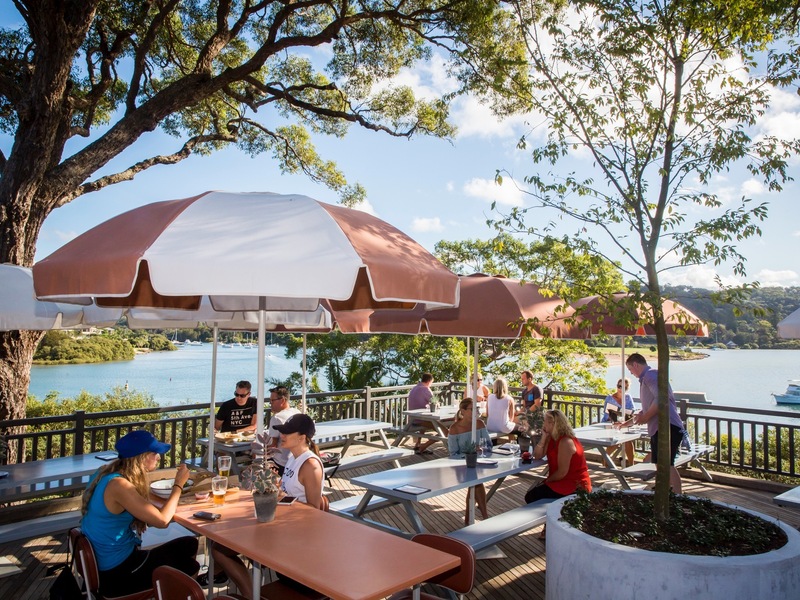 They had already flexed some serious renovator’s muscle when they took over an old coastal pub in Coogee and turned it into a legitimate scene, but that was nothing compared to the makeover that has occurred at the vast watering hole up on Sydney’s northernmost peninsula. Look, who among us hasn’t had a dig at the Far East, what with their beautiful homes, jaw-dropping views and the ability to wear white linen without looking like they’ve slept in their clothes? 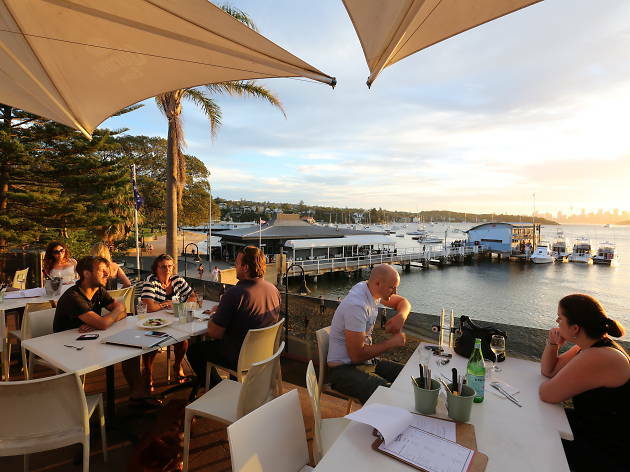 And sure, the drive to South Head is no picnic, but once you’re sitting on the terrace of the Watsons Bay Boutique Hotel with a glass of dry rosé, you have to admit that this is a bloody nice place to cash in some down time. You might be surprised to discover that there is not the pack of twinkly-eyed dock workers inside Harts Pub. Of course, a set of coal-dusted wharfies would look right at home inside the historic terrace hotel in the Rocks, but instead what you’re likely to find is a specific subset of Sydney’s corporate crowd who prefer that ye olde pub feel to the glint of Heineken bottles found in many a CBD bar. 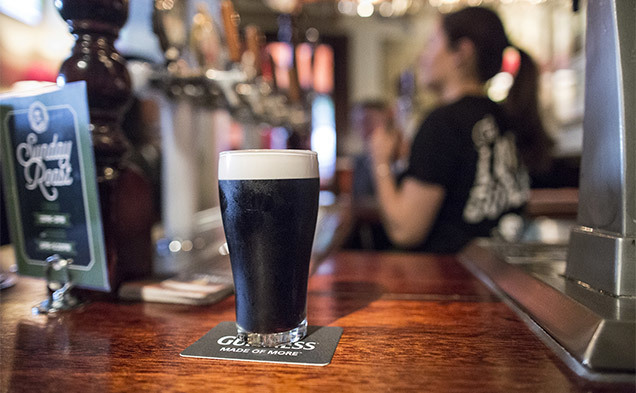 We’re not saying that the old ways are always better, mostly because we’re not octogenarians yelling at the kids on our lawn, but there’s no denying that many of the best elements of a local pub were perfected long ago. 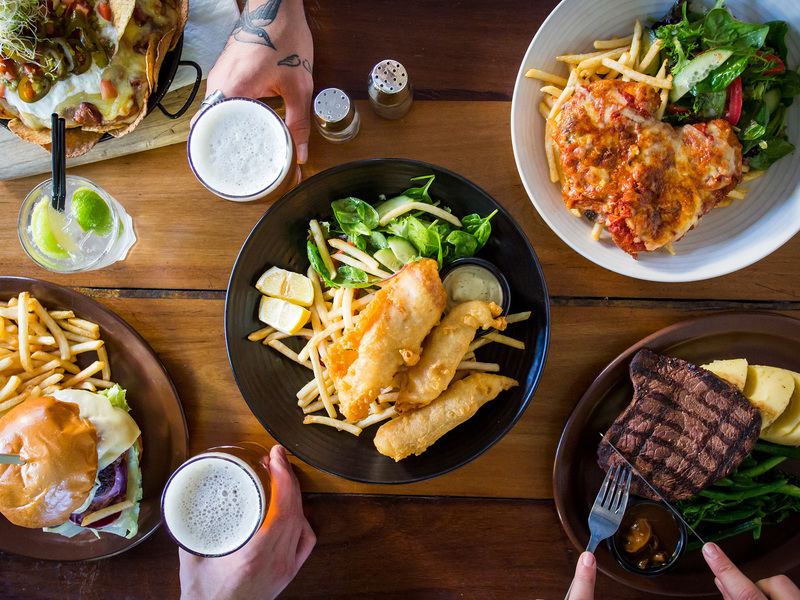 The non-negotiables are fresh beers in cold clean glasses, tunes, trivia and a solid counter meal. 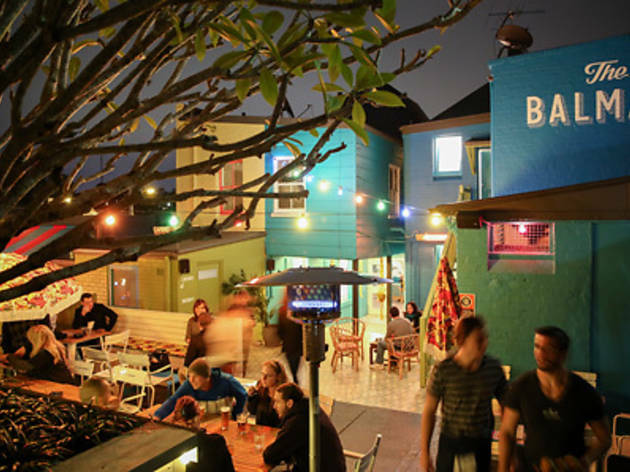 Bonus points are awarded for a little open-air terrace for alfresco bevvies, a beer list that embraces the old ways but doesn’t fear the new wave of craft breweries, and a super-chill attitude. 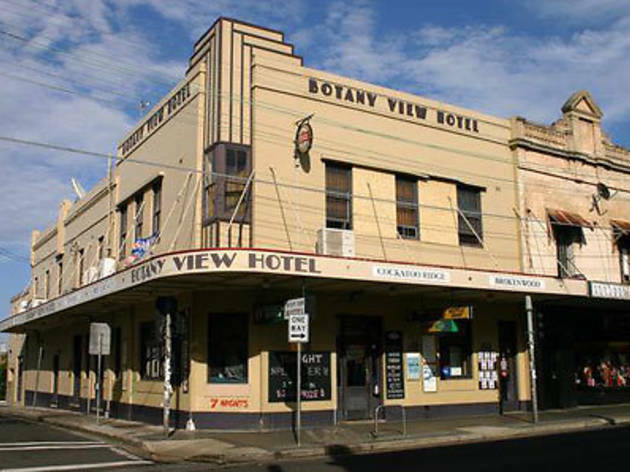 That’s a top score for the Botany View then. 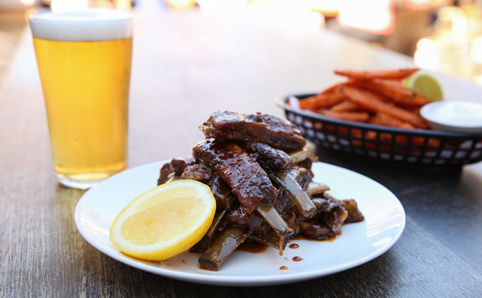 When a hot dog and a craft brew is all your heart desires then it’s time to cannonball down the slopes of Surry Hills to the Royal Albert Hotel. You will not be the only one making a beeline for this compact taphouse so expect to squeeze inside the front bar to get amongst the good-natured carousing that happens here every evening at quitting time. 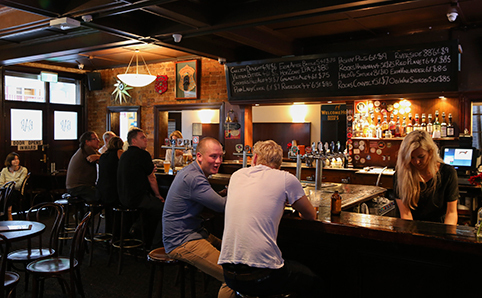 There’s no shortage of pubs in Paddington and Woollahra, but few possess the old world charms of the Lord Dudley. This vast, red brick hotel looks more like a British country manor than an Inner East establishment, and the vibe is similarly relaxed. Out on Quarry Street locals and their faithful hounds get a solid lean on with a pint of Old Speckled Hen in hand. 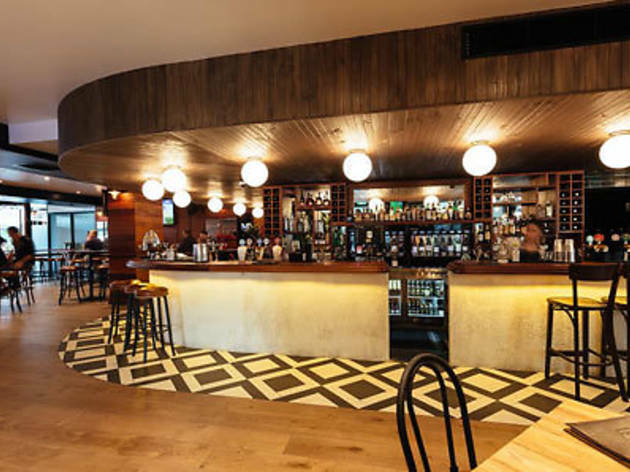 The timber floors of the Local Taphouse have been worn smooth by the continuous foot traffic of the parched and the curious over the last five years. 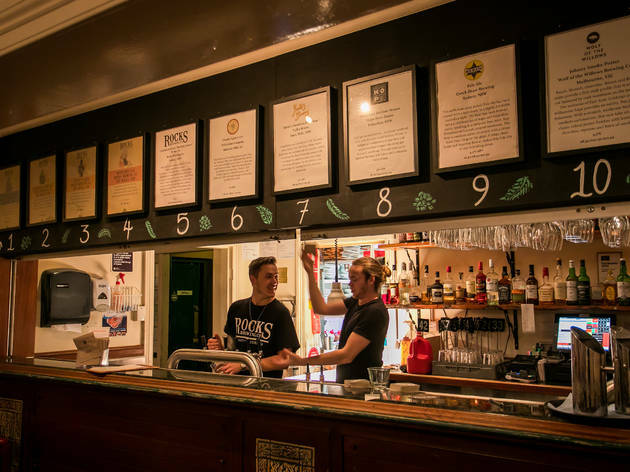 The number of licensed establishments spruiking local, boutique and limited-run brews continues to rise, but this corner hotel in Darlinghurst is an old hand at the craft beer game. 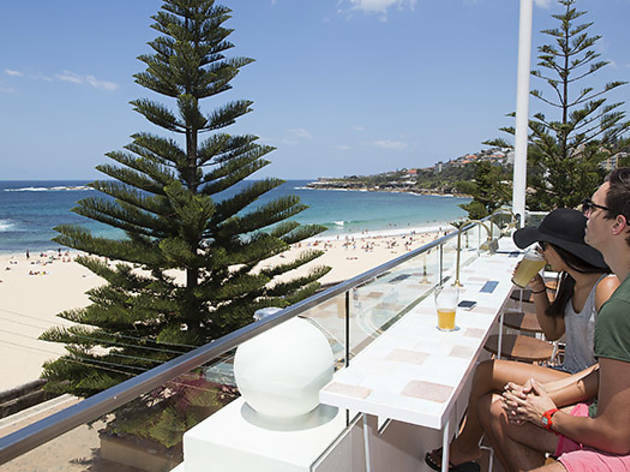 In spite of its multi-million dollar location right on the northern headland, the Coogee Palace never even came close to living up to its potential as a destination pub – it got a C-minus at best. 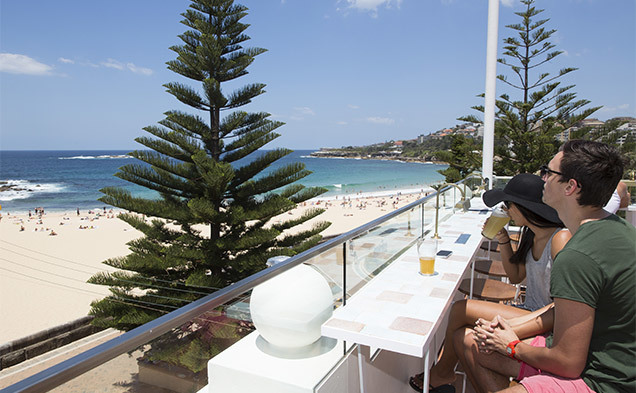 But with the opening of the Coogee Pavilion Rooftop we now have an A-grade beachside pub just a short bus ride from the city. 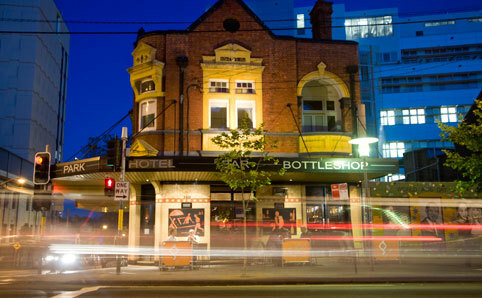 A night at the Darlo is as close to a guarantee of good times as Sydney is able to give. 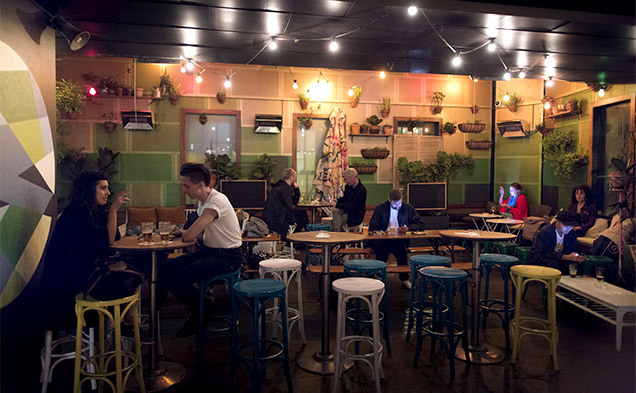 This community living room on a Darlinghurst corner is the first port of call for mid week pool comp, they boast a trivia night that has been stumping smart-phone cheaters for five fact-filled years and there’s a weekday happy hour that helps you stretch your booze budget just that little bit further. 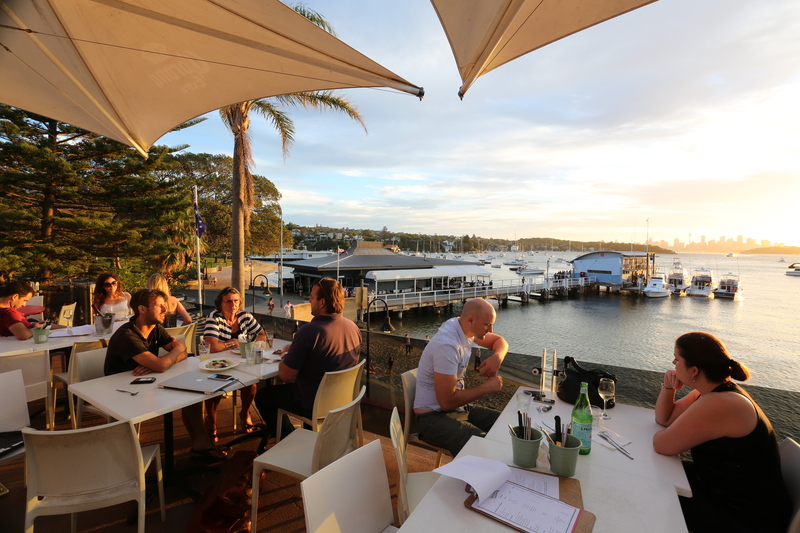 This grand old establishment on the Woolwich peninsula is how we imagine a country club would be minus the golf or horses – though sailing is a popular pastime in this well-heeled neck of the woods. 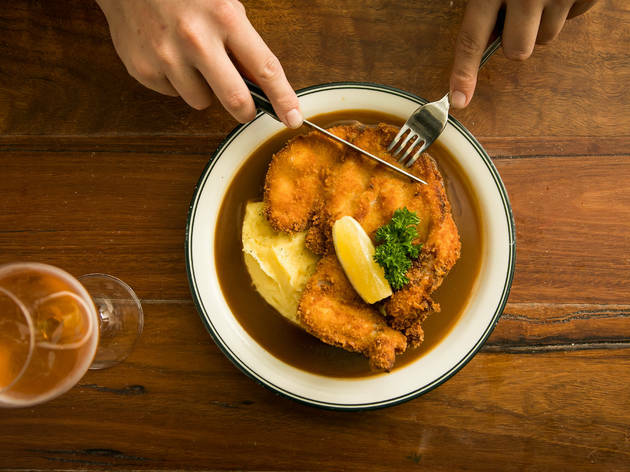 A lot of Sydney’s pubs play a single trump – tender steak, good times trivia, clean beer, golden schnitzel – but it’s a truly special boozer that can show a full and winning hand. Dove and Olive is that place. 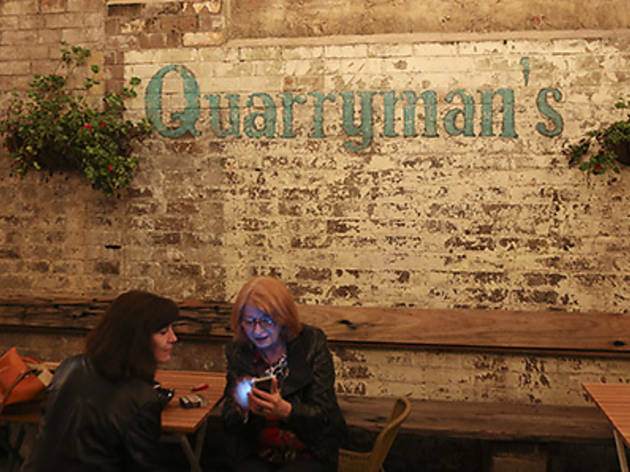 It’s been a couple of years since it set up inside the shell of the old Clarendon on Devonshire Street and tapped the biggest craft beer collection in Surry Hills. Suddenly we had a pub for all occasions where the beers, food and vibe are were ace and the mounted deer horns came with googly eyes. It’s a truly great pub that manages to strike an easy balance between being a familiar, cosy watering hole and raising the bar where it counts – the food and drink. 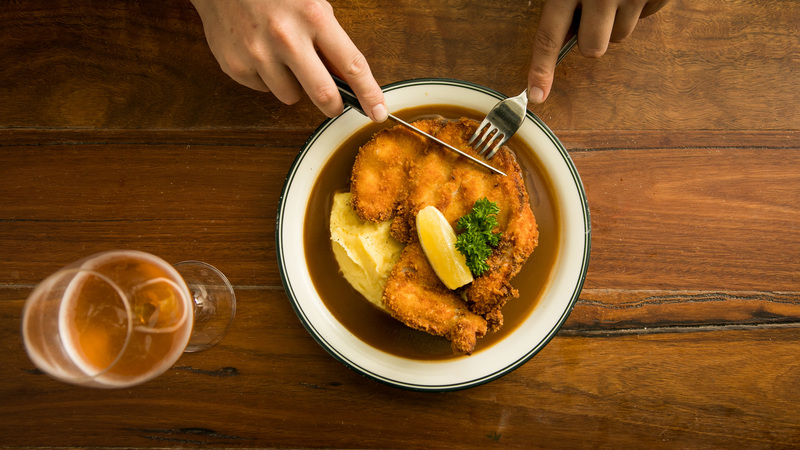 We don’t much mind what old timey art sits on the walls, or if the playlist forgoes Chisel for the Natalie Imbruglia on occasion, but we do care quite a lot about what’s on our plates and in our glasses. 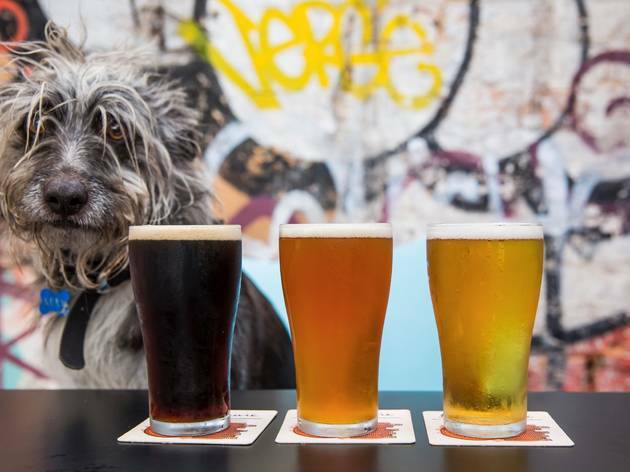 At the Welcome a degree of extra care has been given to the menus so that the craft beers on tap reflect the evolving boutique brewing scene in Sydney, and also match the season. This colourful hotel is like one of those children’s party venues where each room has a different theme. 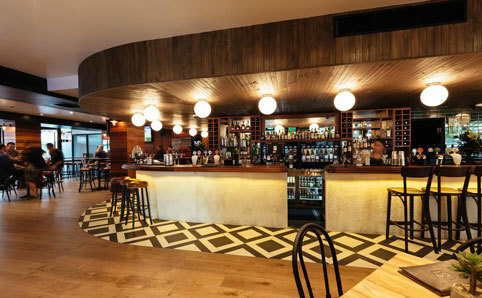 The public bar is all breezy open space with solid timber foundations; downstairs things get more tropical with cocktails and vintage décor. There’s the sitting room with lounge settings and frond print walls, but outside goes full garden party with floral upholstery, rainbow umbrellas and festoon lighting running between frangipanis and palm trees. And nothing is on the same level here – it’s like a technicolour MC Escher drawing that serves drinks and Peking duck buns. The Green Park Hotel is doing it right. It may be only a stone’s throw from the heart of Kings Cross but there’s a very different kind of party going on in this prettied up pub. It’s not a gay bar but even early on a Saturday evening you’ll find the place heaving with the handsome boys of Darlinghurst sporting expensive shoes and imported denim. Everyone else is here too – it’s the sort of place people gravitate to. Even if the sun is still shining, inside it’s always beer o’clock thanks to a green-so-dark-it’s-almost-black paint job, deep blue tiles and a black top bar. 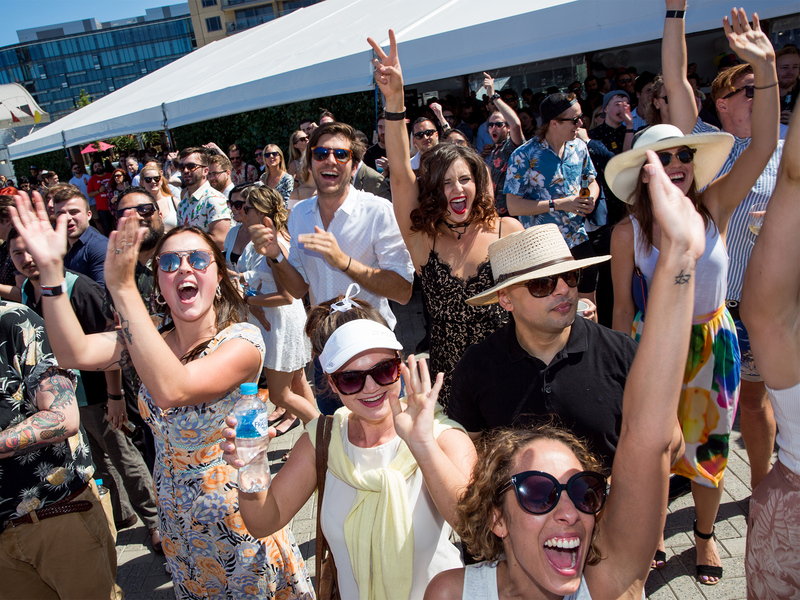 In spite of its proximity to the CBD, Pyrmont has never boasted the same expansive boozing scene that you’ll find in other areas of inner Sydney. There are high class cocktails to be had at Sokyo Lounge and Black Bar at the Star, but good places for a pint of craft beer and some pub food were light on the ground until the Quarrymans Hotel got a serious makeover. The macrobrewed lagers have gone to that big megapub in the sky. 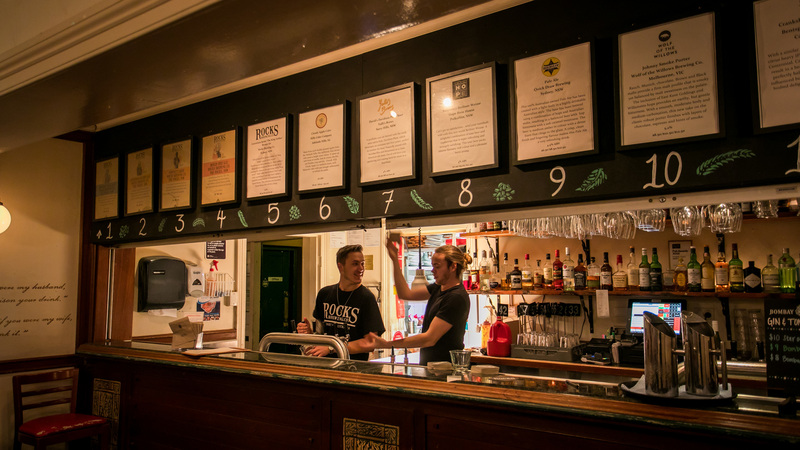 In their place are 24 craft beer taps and one handpump for real-ale enthusiasts. 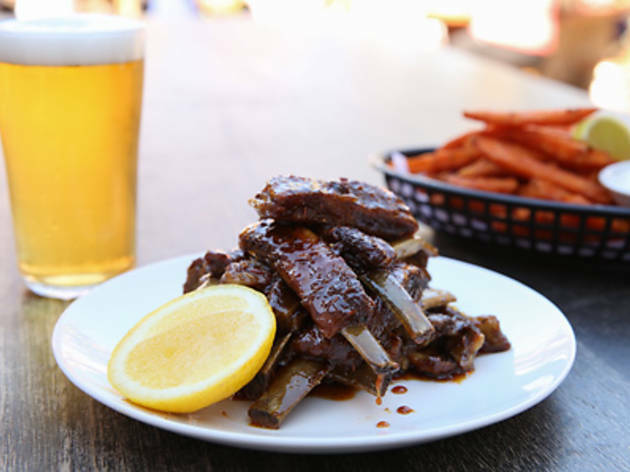 Those coppery valves are now supplying Pyrmont with anything from Ekim’s super-refreshing After Battle pale ale through to a strawberry wheat beer, a blueberry hefeweizen or an alcoholic ginger beer for people yet to acquire the taste for hops and barley. At the Welcome there's an adjoining restaurant where chef Daniel Mulligan flexes his kitchen muscle with a modern Italian menu, but in the public bar the menu finds a middle ground between higher end dining and bistro stalwarts. 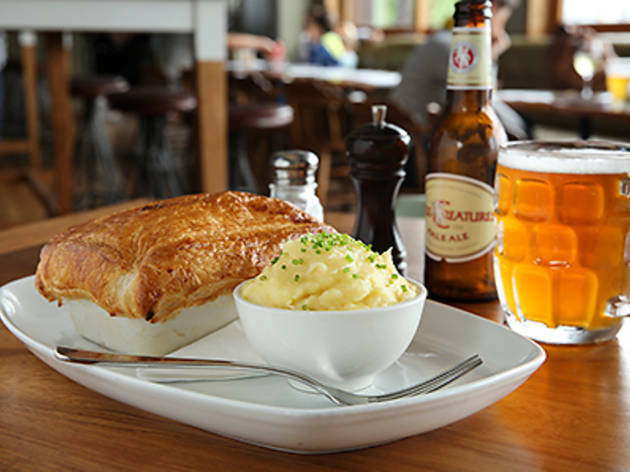 Yes, they do a pub pie, but here it’s a little pot of comforting chicken and mushrooms stew with a caramel coloured pastry crown. Do not fear the pub pasta here. Mulligan’s former posting was at Pilu at Freshwater and his Italian pedigree shows in a plate of tender, golden saffron pasta tubes arrive with a pork mince and porcini mushroom sauce, fragrant with rosemary and finished with a restrained sprinkle of pecorino cheese. 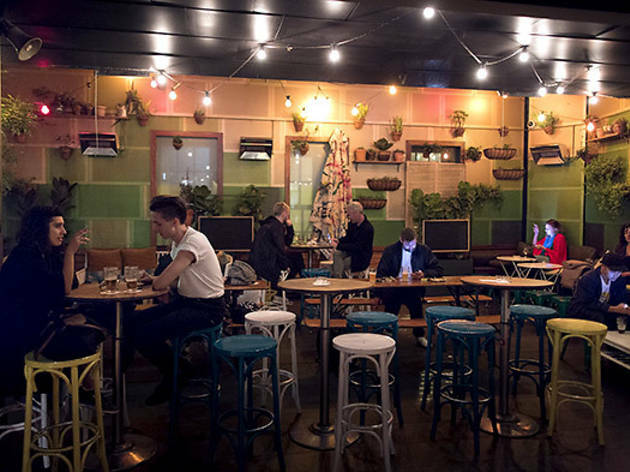 Rather than shaking its fist at the youth and going the way of the dinosaur, famous old Marrickville boozer Vic on the Park has reinvented itself as a new community hub. These days it embraces music, art and weird sports with the same ferocity that it once gave to Tooheys and the ’Tahs (actually, it still does that too), and the joint’s enthusiasm is proving infectious. Prime real estate at the Vic is out the back on the huge, covered wooden deck with a shady tree at one end and a fire pit for the odd spit-roast lamb at the other. From there you can survey the basketball court/parking lot called the Projects, where mini festivals, basketball competitions, bike polo and hip-hop afternoons take place. 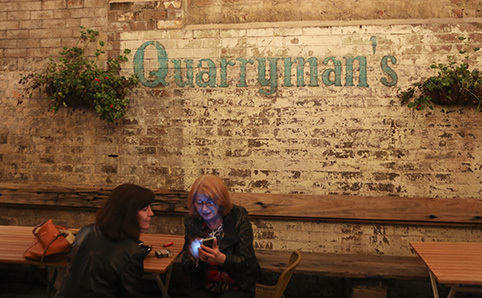 The front bar is all the best parts of an old school pub without the weird smells, and the beer garden is enormous. There's a games room with pinball, old-school Big Buck Hunter machines and Pacman, and the kids get their own rumpus room in a converted garage, complete with a Mr Men mural and shallow ball pit. But really it’s the bistro that is keeping the hearth-fires burning at the Henson. 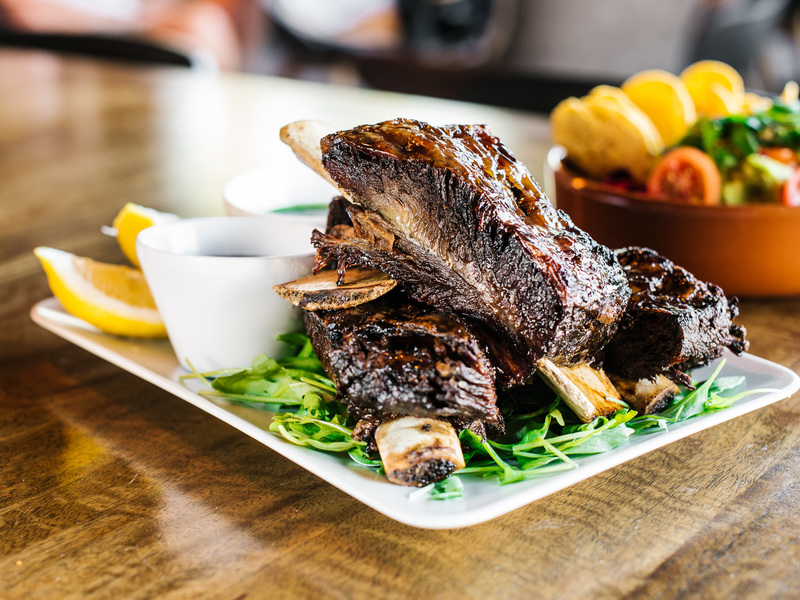 A lamb shank shepherd’s pie will put padding on your ribs, and they add Asian influences to the mix with a karaage chicken burger and ssamjang lamb ribs. A decade ago, had you suggested a drink at the Megahole (as the Cremorne Hotel used to be called in certain circles) people might have worried that you’d taken leave of your senses. It may have been open late and serving booze, but it was a last resort. It’s incredible what a renovation and cultural shakeup can do to a place. Minskys Hotel (as it is now known) is as far from that woozy dive as it’s possible to get while still operating within the same four walls. 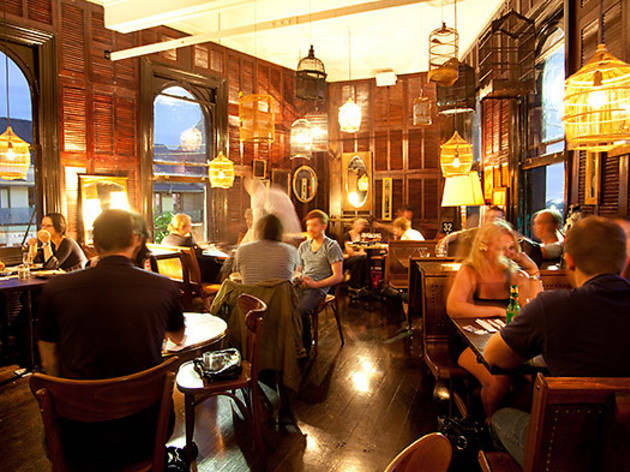 What stands there now is a welcoming, stylish pub that you wouldn’t be ashamed to take you parents to. 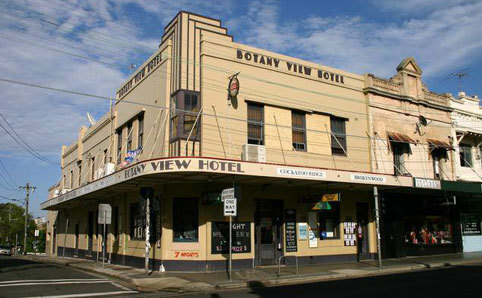 The Henson Park Hotel was for many years an abandoned, rotting shell of a pub hidden in the backstreets of Marrickville. 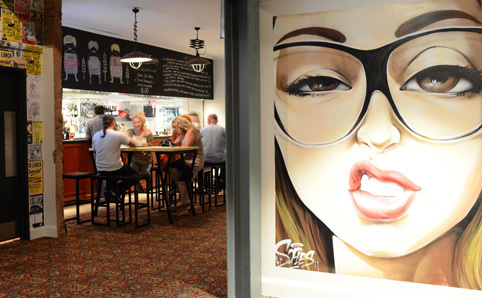 But with one hell of a refurb it's now one of the most family-friendly watering holes in the Inner West. The front bar of the Henson looks like any other local haunt. Stain-resistant carpet, sturdy bar stools, milky coffee-coloured tiles, pool table and dartboard are all present and accounted for. But look a little closer. The floors aren’t gunged with decades of unspeakable stickiness, the gleaming taps give plenty of space to craft brews – Young Henrys, Batch, Rocks Brewing Co – and the stereo is cranking out the Black Keys, Ball Park Music and Electric Guest.